Group from South Bronx, New York formed by Tommy Bogdany (Lead), Joe Formato (Baritone),Lou Pesce (First Tenor) and Tom Caterino (Second Tenor). 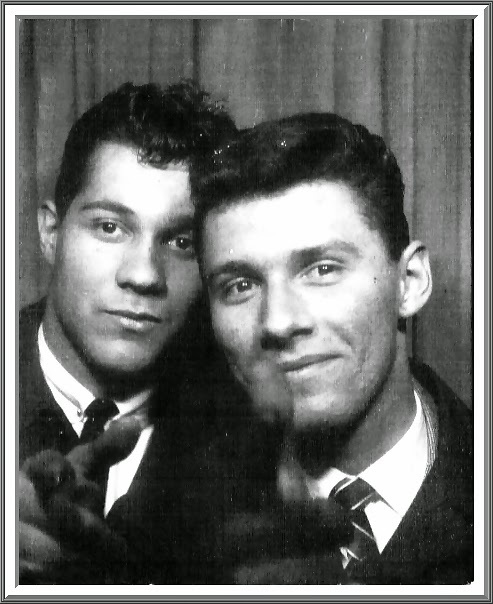 Tom Caterino and Lou Pesce recorded with Larry & The Standards (see in this blog). Tommy Bogdany co-wrote the mega Hit "Shout Shout" with Ernie Maresca, The Starfires were managed by Freddy Parker who signed the group to Duel Records. -Under the Stars / Fools Fall in Love. 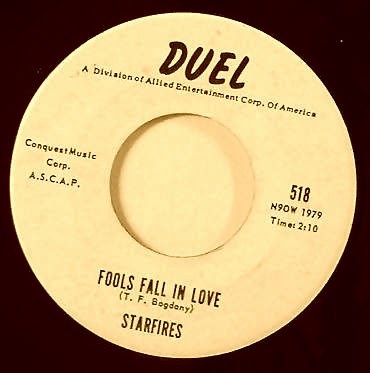 Duel Records-1962.